Have a lot of luggage? Young excitable children or equally as excited elderly passengers? Then getting on and off a transfer bus might not be something you'd be keen to do. 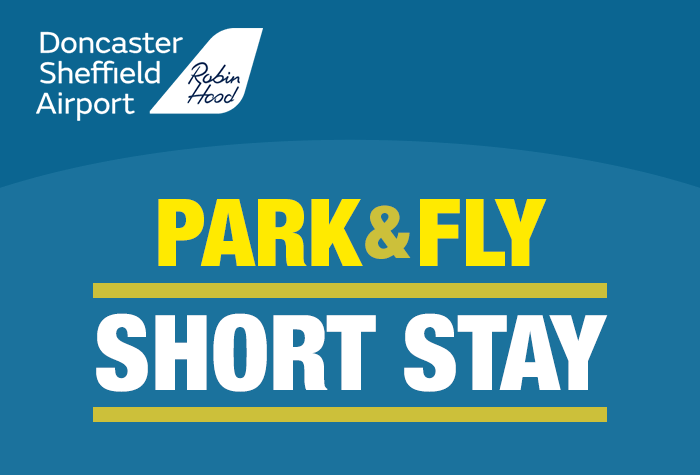 With our newest addition, Park and Fly at Doncaster Airport, you really do just that...park and fly. The car park is only a 2 minute walk to check in so there is no waiting, no transfer buses and no fuss. Park up, walk to the terminal and let your holiday begin. This really is a convenient option for your parking at Doncaster Airport. This car park is only a 2 minute walk distance of the terminal, so there's no need for transfer. The parking itself was excellent however how it was sold was a bit 'hard sell' when I only called to query something on my booking. Not the best experience and would be likely to book parking myself in future. Everything was fine, no hassle. When I booked I was lead to believe I had booked in the Premier parking! But I was in the short stay which lead to confusion at the barrier - directions in the letter took you to the Premier car park? Some other drivers were confused with the parking ticket.Instructions should be made clear. Ticket not recognised at gate delaying everybody and embarrassing us. Our customers rated Doncaster Airport Park And Fly Parking on average 9/10 (52 reviews). Read Doncaster Airport Park And Fly Parking reviews.